Today is house inspection day. I managed to inspect two homes in Ashfield. One which is a five room on top of two really large ground rooms, and a library, a spa pool, and an outdoor office. The rent? 1350 per week.. Expensive, but really beautiful and well kept colonial house. I actually quite like this place, but what will I do with five bedrooms? The second one is in Bland St, which is a four room house with a backyard. There is still people living there, and it looks really unkempt. 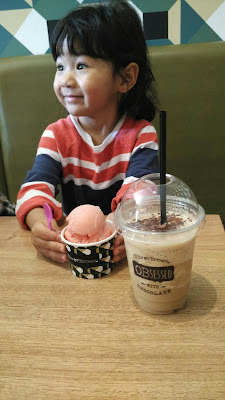 Today after the home inspections, I went to Burwood to have tea with Jo, and Hannah. I decided to practise my cooking skills in making dinner... My Korean pancakes are the best! 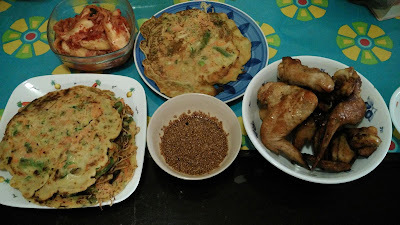 The first time I made it many weeks ago, I had my Korean Godbrother, Jumin, who came along to help fry it.. It was da bomb! 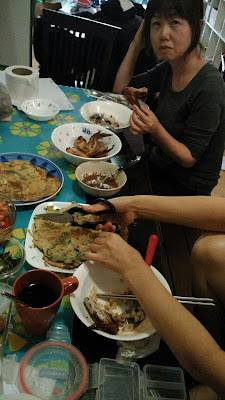 Jo and family finally had the chance to try my Korean pancake today and they all loved it, as well as the chicken wings. Ricky sent me home after dinner. The thing about having friends who drive, is they can explain to you as they send you home in more practical terms the road conditions, and how the traffic lights work. The traffic lights in Sydney work very much differently than how they would do in KUALA Lumpur, because there are Road conditions that exist that do not in KL. Anyways, the word of the Lord came to me today whilst I was busy browsing at Vinnies on our way to Jo's place. The word given was 'do not strive'. Hence, I will keep calm, and not do anything.